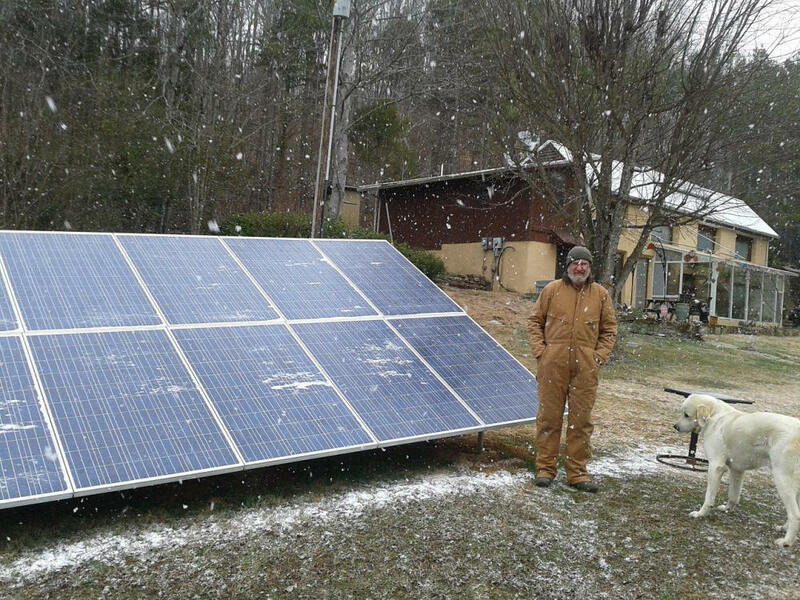 For those of you who don't know about Doug Kalmer, he is a renewable energy expert who lives in Tennessee, and who really walks the talk on the renewable energy and sustainable living fronts. 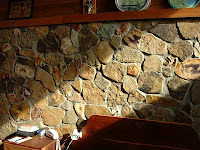 His projects use simple, elegant, well thought out designs that are durable and cost effective. 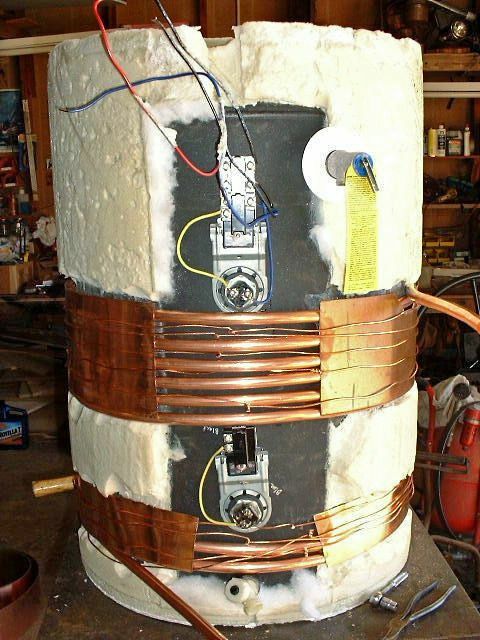 Most of the projects can be built by any reasonably skilled DIYer. The projects cover an amazing range of renewable energy and sustainable living areas. 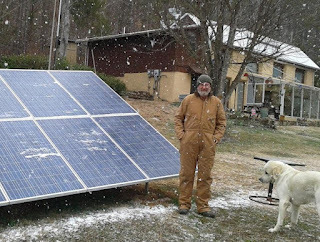 Note that Doug's house is going to be on the solar tour this year, so if you live in the area, go have a look. 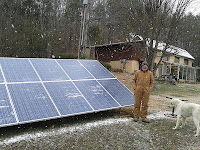 Doug's 1985 solar passive home in Tennessee has been largely heating itself through several decades. 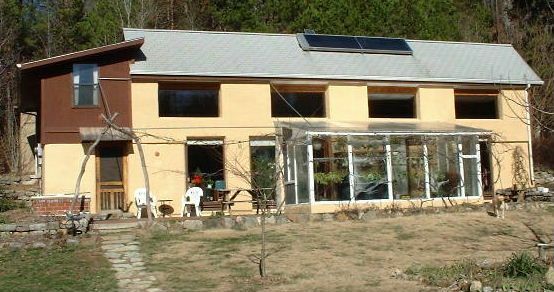 It uses a combination of passive solar gain for heat and earth berming to reduce heat loss. 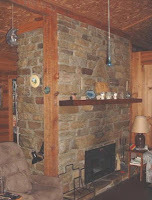 Backup heat is provided by the masonry heater described below. This is Doug's latest project. It is a 4.6 KW grid-tied PV system that uses Enphase micro inverters on each PV module to make utility compatible solar electricity. The mount system is all Doug designed and built and is simple, strong, durable and very cost effective. Doug designed and built this efficient and very beautiful masonry stove to provide backup space heating for the passive solar home. The masonry stove is designed to burn hot, fast, and clean while capturing the heat in the stone and radiating heat for hours after the fire goes out. The attached solar greenhouse was built for and amazing $300 using sliding glass door panels. 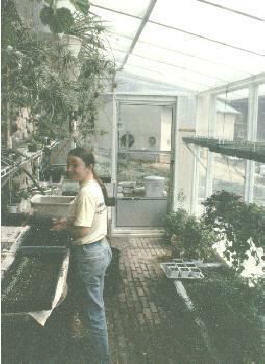 The solar greenhouse allows plants to be started in January and February and then moved out. The greenhouse also provides some heat to the house. These thermal shades provide R values equivalent to the best of the commercial thermal shades and also look very nice -- all for about $15 a shade! They use the Reflectix as the insulating material. 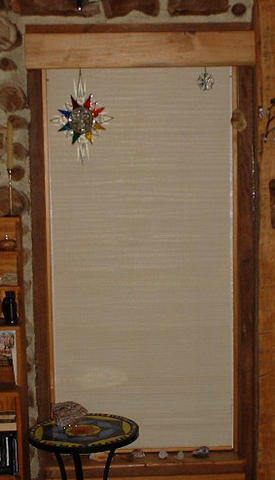 In my climate, this thermal shade can pay for itself in a single season over a double glazed window. Doug has two solar water heating systems. Both are simple and cost effective designs that work well. The closed loop system heats water for his house. 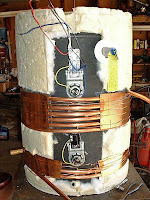 The thermosyphon system heats water for the shop/studio. Doug used slipform walls for his home, and this project explains how to build slipform walls. 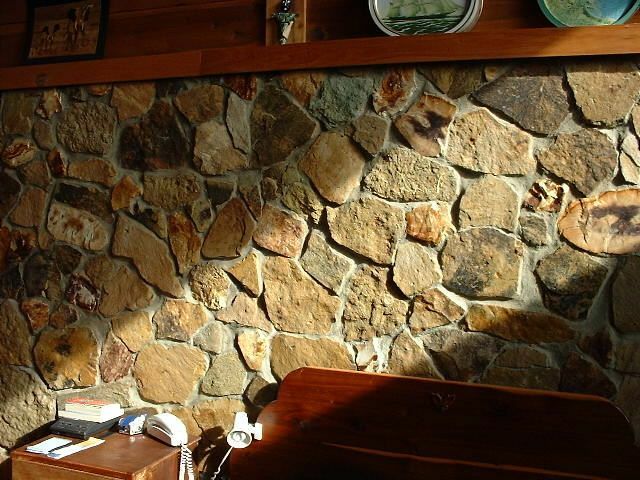 This is a technique that owner builders can use to provide a wall that is very durable, cost effective to build, and looks beautiful. This is an interesting project that uses a salvaged AC unit and "Corny Kegs" to make an efficient heat pump for cooling the beer keg. 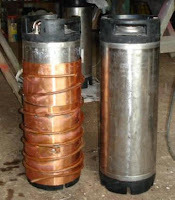 The heat pump takes heat from the beer and uses it to heat domestic water. I want to thank Doug again for doing these projects and for taking the time to document them and make them available -- Thanks! Quite the collection of projects, very industrious this Doug! Thanks for bringing it all together here Gary. Doug is a Beast! And he's done more than his share of sharing. Thanks Doug and Claud for years for all these years of doing it and passing it onward. Interesting guy, would sure like a chance to have a chat with him. Many things he has acomplished could be done by the average person if they could get motivated enough.